Minnesota Historical & Cultural Heritage Grants program will offer a Structured Grant for a Scholarship to the AASLH Conference, to be held September 17-20, 2014 in St. Paul. Important note: the scholarships will be available only in the January 10 and April 11, 2014 deadlines. Contact the Grants Office with questions. ​Carver County-related articles on historic sites, topics, or people were completed, submitted for editing, and published through MNopedia. Northwest Airlines History Centre, Bloomington MN, is working on improving collections storage. What is your organization doing to improve your storage conditions? What should the Minnesota Historical Society collect from the Metrodome? Groundbreaking for the new Vikings stadium is set for December 3. Commemorating the 150th anniversary of the Gettysburg Address. A short talk about historic preservation. Super Zips and the change in sociocultural history. Do colorized photos distort the past? Johnson County Museum, Franklin IN, seeks Director. Deadline: November 25, 2013. New York State Education Department seeks Senior Historian for the New York State Museum, Albany NY. Deadline: November 27, 2013. New York State Education Department seeks Research and Collections Technician for the New York State Museum, Albany NY. Deadline: November 27, 2013. South Dakota State Historic Preservation Office seeks Historic Preservation Specialist. Deadline: November 28, 2013. State of Nevada seeks Historic Preservation Specialist 3--Deputy SHPO. Deadline: December 10, 2013. DuSable Museum of African American History, Chicago IL, seeks Collections Assistant. Deadline: December 12, 2013. South Dakota Agricultural Heritage Museum at South Dakota State University, Brookings SD, seeks Director. Deadline: December 16, 2013. Hesburgh Libraries, University of Notre Dame, Notre Dame IN, seek American History/Digital Humanities Librarian. Deadline: February 1, 2014. Edsel & Eleanor Ford House, Grosse Pointe Shores MI, seeks Director of Material Culture. Edsel & Eleanor Ford House, Grosse Pointe Shores MI, seeks Director of Education & Programs. Carlton County Historical Society, Cloquet MN, will hold a remembrance for President John F. Kennedy, Friday November 22, 2013, 1 p.m. Call 218-879-1938 for more information. Scott County Historical Society, Shakopee MN, hosts a harvest-themed Kids' Kraft, Saturday November 23, 2013, 10:30-11:15 a.m. Free, but registration requested. Contact Stephanie, 952-445-0378. Anoka County Historical Society, Anoka MN, invites the public to visit the History Center for a Civil War Christmas, Thursday December 5, 2013, 7 p.m. Call 763-421-0600 for more information. Steele County Historical Society, Owatonna MN, announces its 2013 Christmas in the Village celebration, December 6-7, 2013. Call 507-451-1420 for more information. Join Winona County Historical Society, Winona MN, for a Christmas Candlelight House Tour, Sunday December 8, 2013, 3-8 p.m. Tickets: $10/WCHS members; $12/general public. Call 507-454-2723 for more information. Tour the historic Landmark Center, downtown St. Paul MN, for free! Tours meet at the Information Center, 12 p.m. Sundays and 11 a.m. Thursdays. 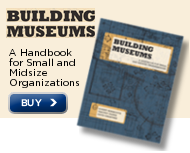 American Alliance of Museums offers a webinar "Small Museums, Libraries and Archives Advocating to Preserve our Heritage," Wednesday December 4, 2013, 2-3:30 p.m. ET. University of Minnesota Extension conducted a study to determine the economic impact of Minnesota museums. Total impact in 2011: $674 million. Internal Revenue Service notes that the 2012 Form 990 on the Prior Year Forms & Pubs List. New 2013 Form 990 will be on the Current Forms & Pubs List. D. Stephen Elliott, director and CEO of the Minnesota Historical Society, recently visited with Minnesota's Historic Northwest at the Kittson County Historical Society in Lake Bronson. With a strong turnout from the region, Steve provided insights concerning his vision for the Minnesota Historical Society and engaged in conversation with his colleagues. Following the meeting, three of the longest serving executive directors of county historical societies in the state gathered for a photo with Steve. Pictured with him are (l to r) Cindy Adams (Kittson County Historical Society), Marlys Hirst (Lake of the Woods County Historical Society), and Tamara Edevold (Clearwater County Historical Society). All have at least 25 years of service in the cause of history! Shadows of Time...Minnesota's Surviving Railroad Depots, by Bill Schrankler. Published by Woodbury Heritage Society. Contact the author for purchase information.